This morning, in celebration of the 10-10-10, I drove up on Mt. Haleakala (Temple of the Sun) here on Maui. 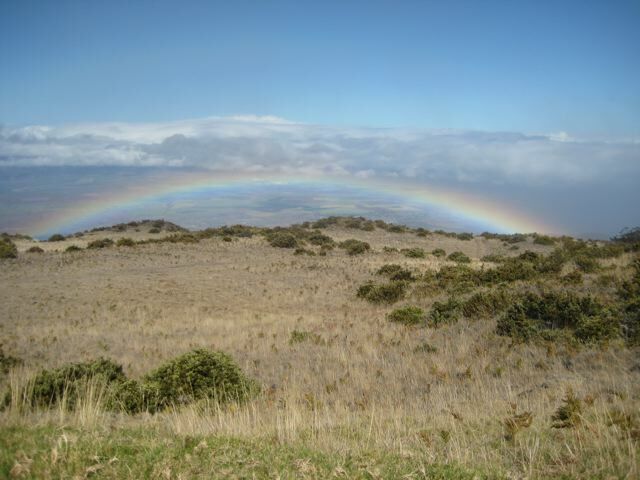 As the rainbow formed over the land below, my height (about 1/2 way up Haleakala), gave the illusion of the rainbow laying down on the Earth, like a blessing. Gazing at the picture, you might put one hand on your heart and one hand on your forehead/bridge of nose: feel the colors of the rainbow, merging with the Earth colors and streaming through you. I visited with this lovely Protea in a garden on the way down the mountain. 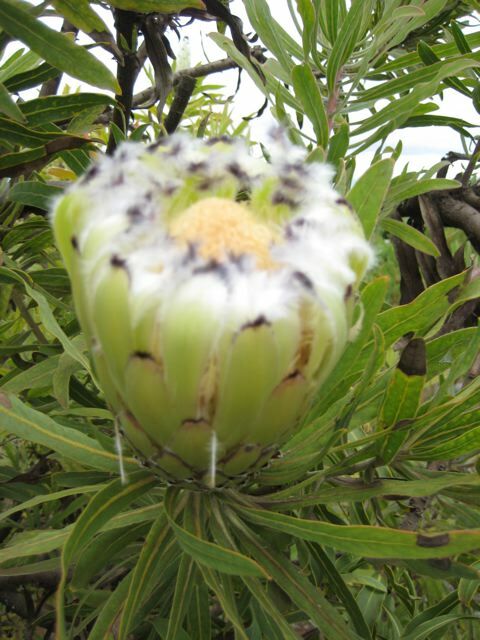 Have you ever petted a protea? They are like velvet, and the tips of a mink protea are like soft feathers forming a lovely vision of a fuzzy flower crown chakra. Keep it up, wonderful job! Exactly the thing I needed to know. Do you care if I put part of this on my website if I post a link back to this web page?